Readers who do not have any particular knowledge of stochastic geometry should be reassured to learn that the author doesn’t, either. 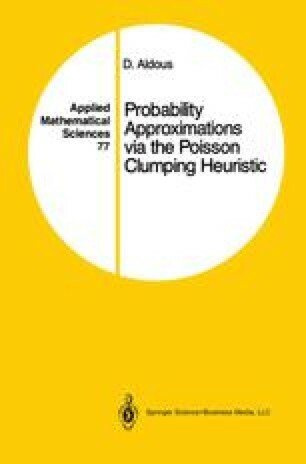 This chapter contains problems with a geometric (2-dimensional, mostly) setting which can be solved heuristically without any specialized geometric arguments. One exception is that we will need some properties of the Poisson line process at Section H2: this process is treated in Solomon (1978), which is the friendliest introduction to stochastic geometry.